Receiving its Royal Charter in 1996, Aston University is an established public research university with a history that dates back to 1895 and evolved into UK’s first College of Advanced Technology in 1956. Located in the city centre of Birmingham, one of the world’s youngest and most vibrant cities, the campus boast various amenities from sports centres, swimming pool and library to cafes, pubs and restaurants. Birmingham offers cosmopolitan student affordable living with a remarkable range of entertainment, nightlife and culture. 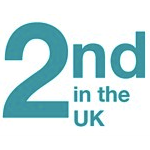 Known for its world class Teaching Quality and Research and Graduate Employment record, it is consistently amongst the best universities in the UK. The university earned 5 QS Stars rating for excellence in teaching, employability, innovation, facilities, inclusiveness and internationalisation. Aston University is constantly ranked in the UK’s top 30 The Times and Complete University Guide Rankings, above numerous Russell Group Universities. Similarly, the university was placed 42nd in the world’s leading universities under the age of 50 (QS World University Rankings, 2015). 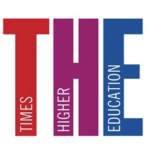 The University has several subjects ranked top 15 in the UK. Subject strengths following The Complete University Guide, 2016 include: Aural & Oral Sciences (6th), Building (7th), Marketing (6th) Ophthalmic (1st) and Pharmacology and Pharmacy (8th). Founded in 1947 and one of the largest business schools in Europe, Aston Business School is renowned for the quality of its teaching, the impact of its research and its supportive environment. The school is internationally recognised by top accrediting bodies and independent rankings. It has been granted Triple Crown Accreditation from AMBA, AACSB and EQUIS, among elite 1% of business schools worldwide. The school scored 100% for Research Impact from Research Excellence Framework (REF) 2014. A highly ranked University for Optometry, Aston University's School of Health and Life Sciences offers a program that will develop the theoretical and practical knowledge and skills needed to enter the College of Optometrists’ Scheme for Registration as an optometrist.